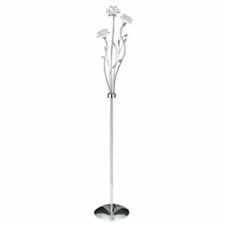 Add a bold touch to your lounge or bedroom with our fantastic Paper Floor Lamp. Colour: White. Assembly: No. Size: 87 x 30cm. The elegant shape of this lamp gives your rooms a cosy flair in addition. Socket / power: 3 x G4 halogen 12V max. depending 20W. Manufacturer B light is a subsidiary of the exclusive manufacturer of Bankamp from Arnsberg. 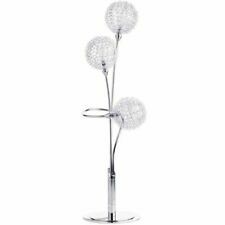 This Modern 20 Light Pendant Fitting from the 'Seymour' range by Endon Lighting looks great and is ideal wherever a modern look is desired. The pendant is Double Insulated. The 'Seymour' range consists of matching 9 and 15 Light Pendant Fitting. Spotlight spots. Ceiling lights. Ceiling crowns. 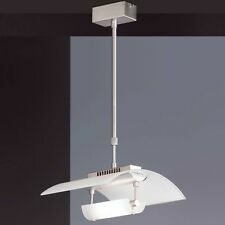 Ceiling lamp / curved 2-flg / nickel / glass / height adjustable. 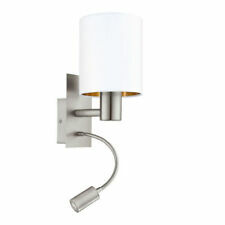 Height-adjustable ceiling lamp in nickel matt. indoor lighting. Satin Nickel. Energy efficiency class. 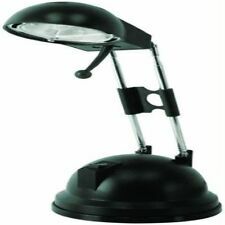 Marke Searchlight. Series: modern. Style: modern. Category: Pendant light. Modern to antique. 100% virgin material at a super price. Also, as soon as possible, we answer support requests. Products with top quality. 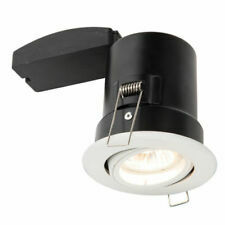 The products of B-LIGHTS are also characterized by high quality and great value. For further desired market position of B-LIGHTS is • young - nice - modern. Height adjustable up to approx. 150cm, width: 110cm. 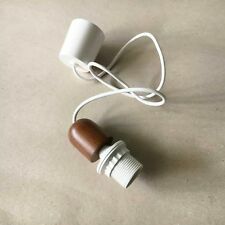 Cable suspension / cord pendant / lamp pendant / white / Walnut / E27 socket. Ever wanted to build your own lamp?. Then, this cord pendant with E27 is version and canopy from plastic and a white cable just right for you. Suspension height: 150 cm. Top quality at the best price. Farbe Braun. Art Pendelleuchte. Stil Modern. 2 6,90 EUR. Czech Republic. 1 6,90 EUR. Cable suspension / cord pendant / lamp pendant / white / oak / E27 socket. Ever wanted to build your own lamp?. Then, this cord pendant with E27 is version and canopy from plastic and a white cable just right for you. Pendant lamp pendant lamp Height adjustable halogen Hicks. Special features: height adjustable. 170 cm, depth: approx. Top quality at the best price. Color: Silver. Farbe Silber. Stil Modern. Marke Massive.